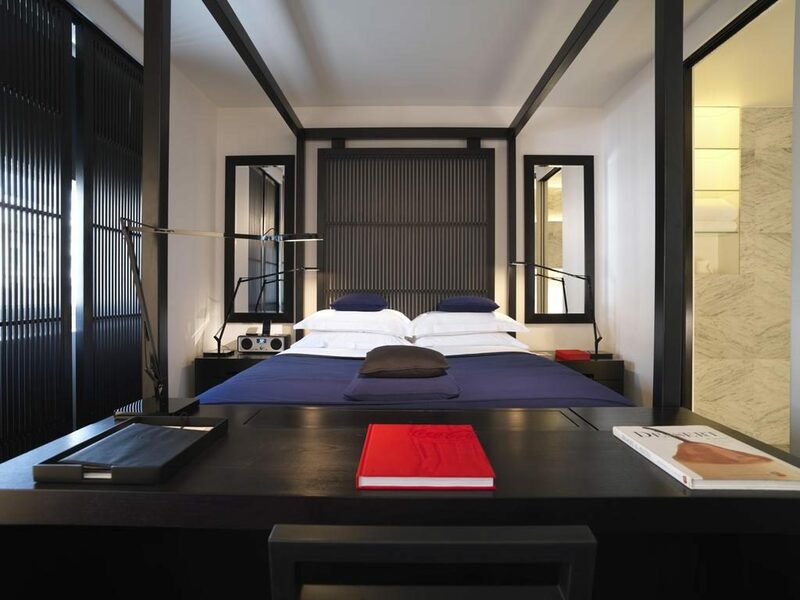 On a recent business trip to London, I was kindly invited to head west to bustling Bayswater to stay at La Suite West and experience what this boutique zen hotel has to offer. 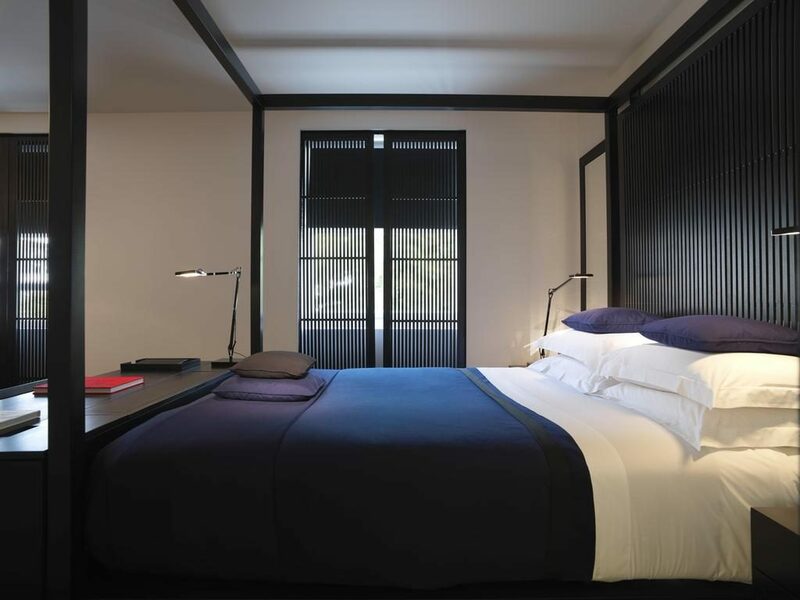 Designed by Anouska Hempel, and part of the Bespoke Hotels Collection the property has a Japanese theme throughout which is quite a surprise when you first arrive. Located on Inverness Terrace in a row of proud standing whitewashed grand Victorian townhouses, La Suite West looks quite unassuming from the outside, enter through the side of the building into the lobby and its secret unfolds in front of you as you are transported to world of zen and tranquility that runs throughout the entire property. 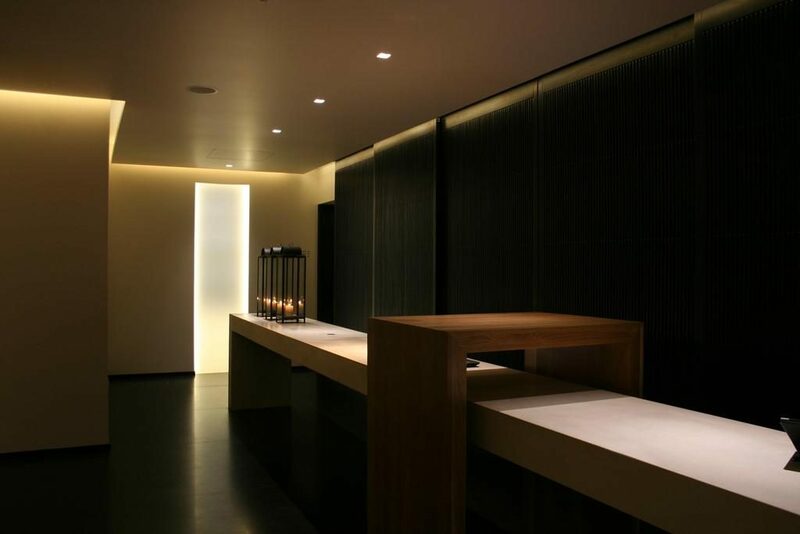 The striking lobby is a minimalists dream with dark floors and walls sitting in juxtaposition to the long lobby reception desk. The hotel is in a pretty handy location, Bayswater tube station is a mere 30 seconds walk from the hotel and you can be at Oxford Street in 10 minutes by tube. Queensway station is a few minutes further walk away and beyond that is Hyde Park. Walk in the other direction and you are in Paddington. The hotel has 79 room and suites, with the Japanese Zen theme running throughout. 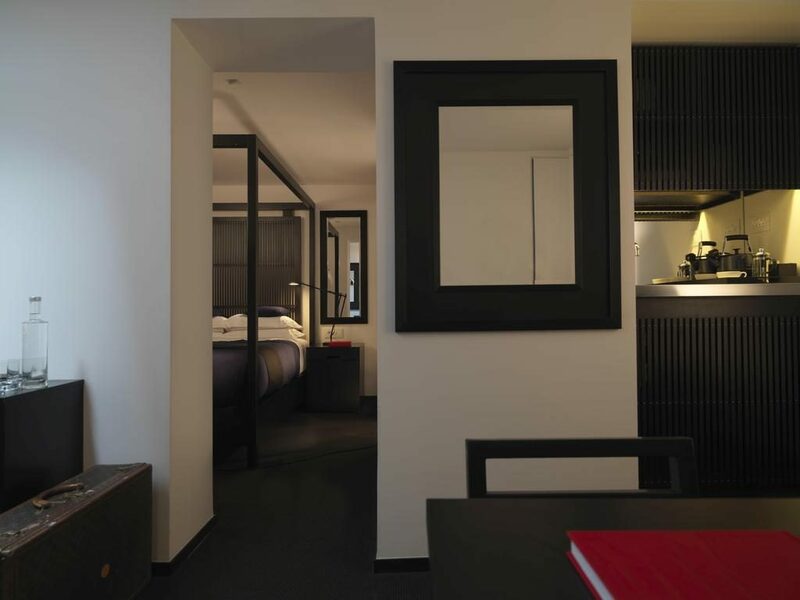 The smallest rooms are a petit 17sqm, while the largest suites have private terraces. I had a junior suite facing the back of the hotel which was a great size. Enter through the lounge area there is a sofa and workstation, turn to the right where there was a small kitchenette to prepare tea and coffee, which included a fridge with complimentary bottles water too. 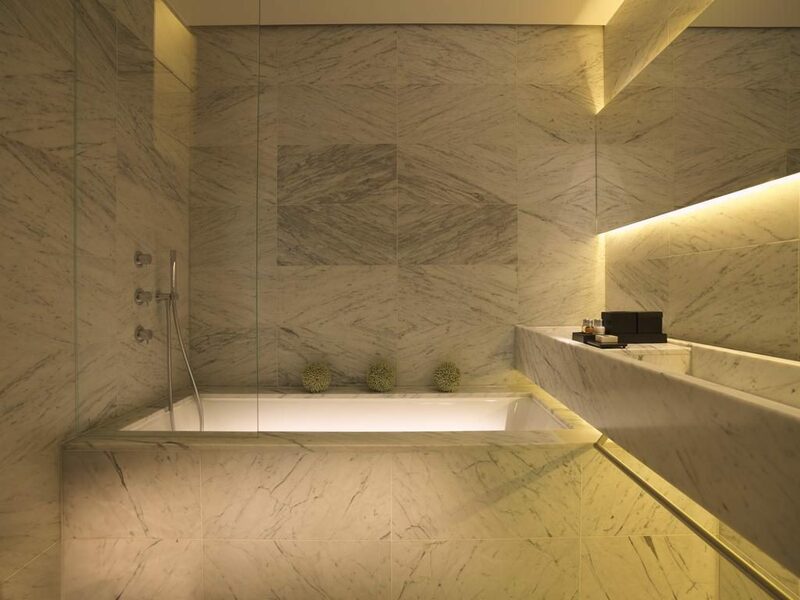 In one direction was the bathroom, which really made the room, top to toe white veined marble, with a heated floor, full length marble basin and mirror, large marble clad bath and separate rain shower. Across from the bathroom was the bedroom, which really did have the wow factor at first look, with the four-poster bed sitting proudly in the middle of the room. When I got into bed I couldn’t work out where the TV was and eventually found that it was hiding at the end of the bed, press the button on the remote control and it elevated out of the unit at the end of the bed, what a genius idea! The bedroom also included a free smart phone system, which I thought was incredibly handy if you are coming to London from overseas and there was also a smartphone dock on the other bedside table and plug sockets ether side of the bed. The hotel offers a restaurant where breakfast is served and there is a lovely patio area which in summer will be a wonderful place to enjoy the first meal of the day. The breakfast was made up of a small buffet of cold cuts, breads, cheeses and cereals, which didn’t look the most exciting, but once I saw that there was a full hot breakfast menu I was happy. 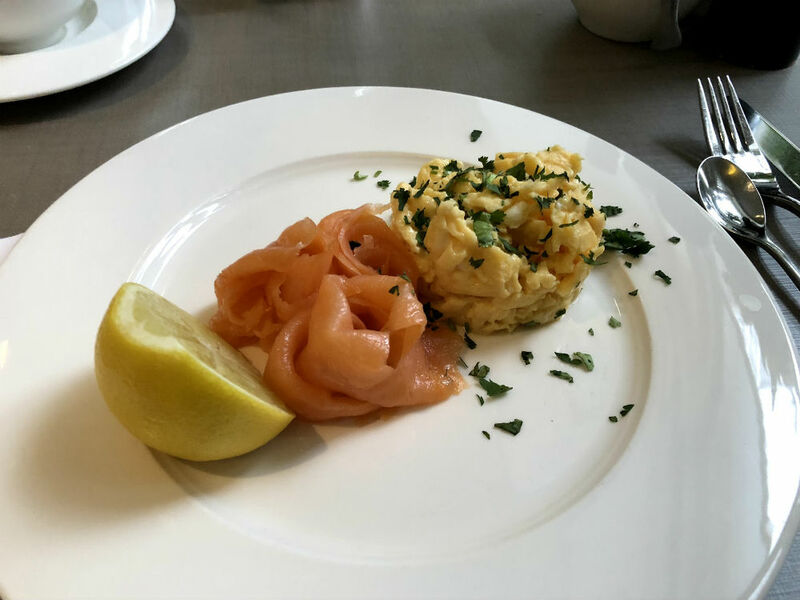 I chose a classic of smoked salmon and scrambled eggs, which I must say was cooked and presented perfectly. The hotel is not what I was expecting but I was pleasantly surprised. The staff were really helpful, parts of the hotel looked like they needed a little TLC but design concept was fun and it felt like a little oasis of calm in the busy capital.